Today, the United States commemorates the signing of the Declaration of Independence on July 4, 1776 by delegates of the original 13 colonies, which asserted that the colonies considered themselves a new nation and no longer part of the British Empire. The day is traditionally celebrated with parades, picnics, and grand fireworks in cities and towns across the country. The holiday also provides the opportunity to remember and honor all the people who have come to America’s shores and have helped to build our nation. As you may know, one day, a Frenchman named Édouard de Laboulaye had the idea to celebrate the 100th birthday of the United States by giving the country a giant sculpture. He enlisted the help of artist Frédéric Auguste Bartholdi to design the statue. Bartholdi started by making a tiny version of the statue of Liberty and building bigger and bigger ones and “finally the one we know which stands 305 feet above the water.” He gave it a thin skin of copper—about as thick as two pennies. Image copyright Shawn Harris, 2017, text copyright Dave Eggers, 2017. Courtesy of Chronicle Books. It took many men to build the statue, as even just the hand was much bigger than a person. When all the parts were ready, the statue was constructed in Paris. “The Statue of Liberty stood there. High above Paris, for almost a year in 1884. In 1885, the statue was taken apart and placed into 214 crates that were shipped across the Atlantic. When the pieces reached New York, they were reassembled on an island that was then known as Bedloe’s Island. It took seventeen months to finish putting the statue back together. You may not have recognized the Statue of Liberty when she was first erected. That’s because she was made of copper, and her outside was brown. Over thirty-five years of standing in all weathers, the Statue of Liberty oxidized, turning the greenish-blue we see today. You may have learned about many of the historical and geological facts associated with features of the Statue of Liberty—for instance about the book and the torch she carries and the crown she wears. And perhaps you have heard some of the humorous stories about her—for instance, that Thomas Edison thought it would be a good idea to put a giant phonograph inside her so that she could talk. This is a truth the Statue of Liberty understands. “Liberty and freedom from oppression are not something you get or grant by standing around like some kind of statue. No. These are things that require action. Courage. An unwillingness to rest.” The Statue of Liberty was not built to welcome immigrants only from one country on one particular day, but to welcome people from all over, every day. “After all, the Statue of Liberty is an immigrant too,” and she does not stand still to welcome people to our shores. She is striding out into the sea to meet them. Seamlessly transitioning from droll to thoughtful, David Eggers succinctly tells the history of the Statue of Liberty’s coming to America and then invites readers to focus on and think about just one feature—her striding right foot. Timely and timeless, Egger’s story is a call to action, reminding readers of the promise of America in a most moving way. Shawn Harris’s striking paper-cut collage images complement Egger’s conversational storytelling with personality, vibrant color, eye-catching perspectives, and—most importantly—the people the Statue of Liberty is welcoming. 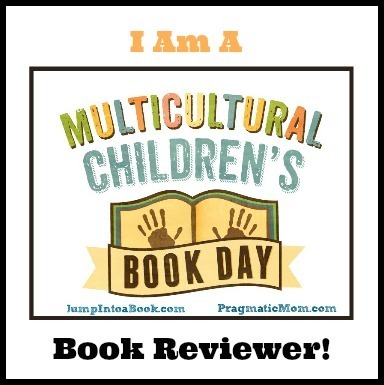 Combining a perfect package of storytelling and art, Her Right Foot is an entertaining and compelling addition to home bookshelves for kids interested in history, travel, and social issues as well as for classrooms for story times and to stimulate conversations about the history and meaning of America. Discover more about Dave Eggers and his books for children and adults on his website. To learn more about Shawn Harris, his books, his art, and his music visit his website. 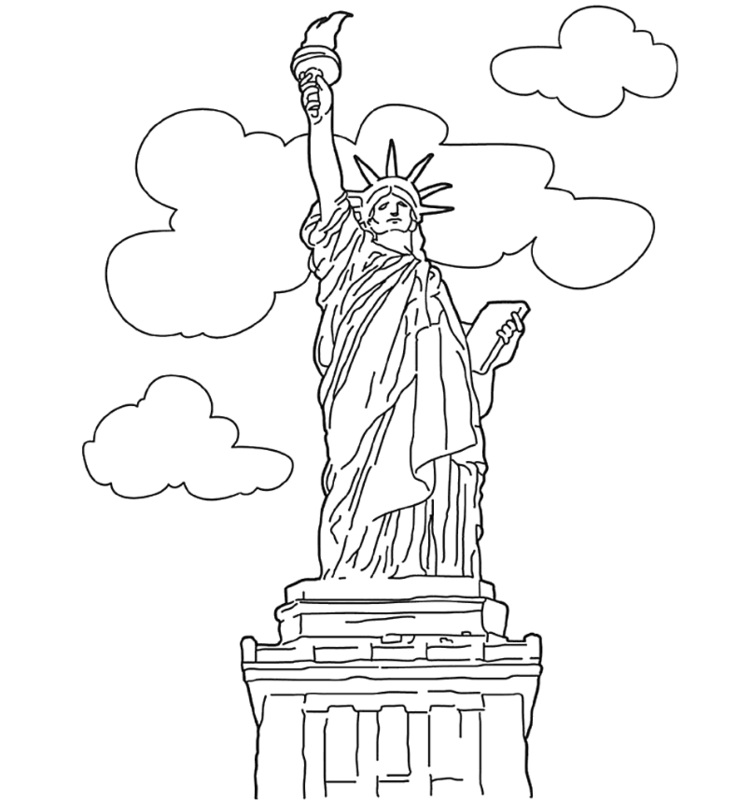 Grab your crayons or pencils and enjoy this printable Statue of Liberty Coloring Page!